BMW have incorporated the best techniques and production methods to create the all-new 7 Series Saloon. The innovative Carbon core adds inner stiffness and strength while decreasing its weight by 130kg from the last model. This is one luxury car that delivers excellence in every way. 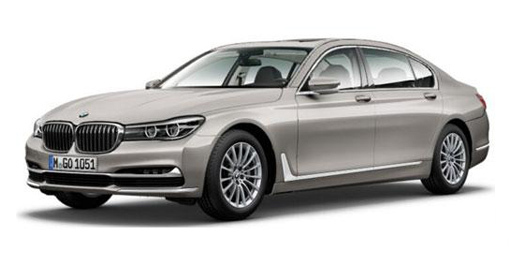 The 7 Series Saloon is for drivers with the most exacting standards. Offering a terrific ride, bumps and rough surfaces are easily diminished thanks to the air suspension and adaptive dampers that are fitted as standard on all models. Optional Executive Drive Pro delivers a pair of variable anti-roll bars which anticipate the road ahead with the support of optional all-wheel steering, dampers and GPS and camera inputs. Despite the size and length of this saloon, it drives like a much smaller car on tight twisty corners delivering the ultimate driving experience BMW fans have come to expect in spades. The quiet and light steering is complemented by new near-source thermal and acoustic shielding which reduces in car noise and saves a considerable amount of weight on NVH insulation. Each engine option incorporates BMW’s Efficient Dynamics technologies to improve performance while cutting CO2 emissions and fuel costs.